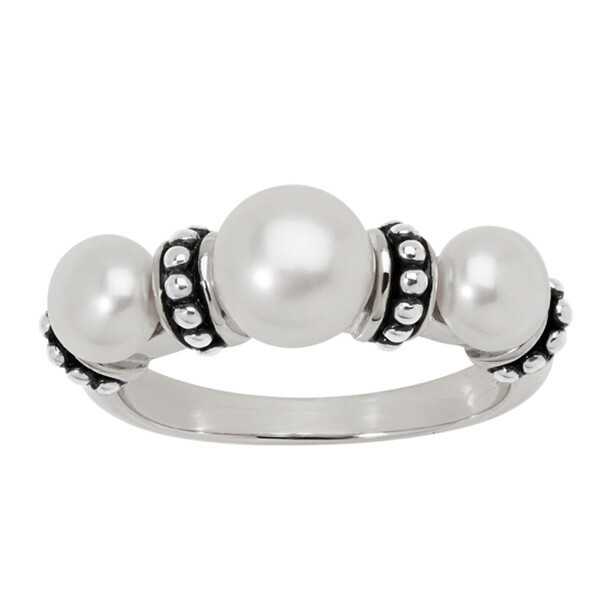 Three 9.5-10mm white button freshwater cultured pearls grace this decadent ring from the Honora Aurora collection. Crafted in sterling silver, the pearls are separated by four decorative precious elements with silver dots popping along a darkened silver background. This detailed ring will be a delightful addition to your finger and your jewelry collection!